This is the second single by this studio only band. See for more Information and the first single here. Like many bands who tried to jump up on the "punk bandwagon" in 1977, they tried to jump up on the "Mod revival" bandwagon in 1979/1980. 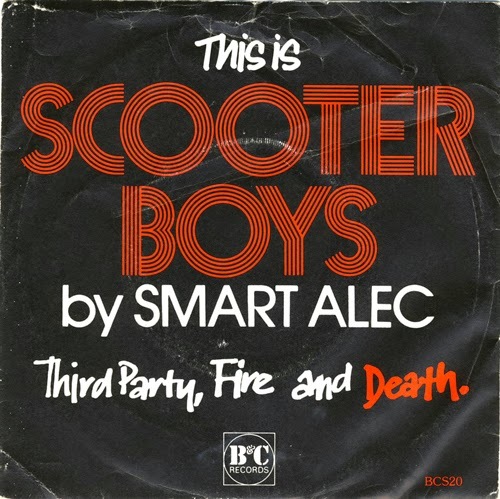 But i like both records of Smart Alec. 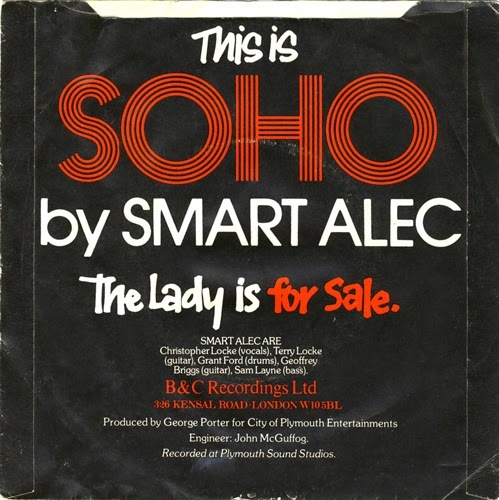 This record came out on the same label (B&C Records) as Pete Newnham's great record "Rudi" and Horrorcomic's "Jesus Crisis". I bet you don't have the strokes And a song named confusion. Anyway it would be something you would post if you had it. It is very rare anyway. Hoping you might have a band called ( Quest ) Song ( She's out of control ) If anyone would have it i think you would.